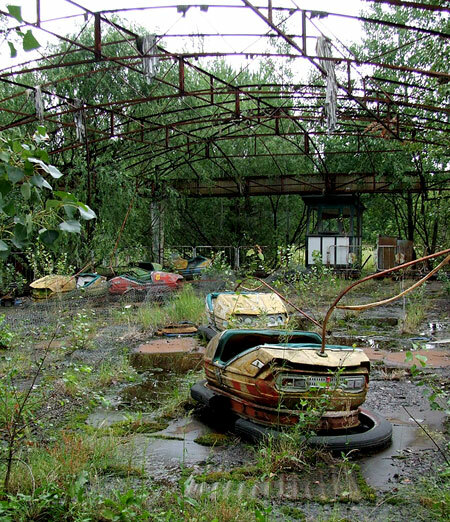 Chernobyl has become a wildlife haven in its abandonment. Some scientists believe the new vegetative growth and animal life show signs of mutation and are worried the species (especially birds) will affect outside habitats. Radiation is also affecting tree growth – confusing a hormone signal that a tree uses to determine which way to grow. This entry was posted in abandoned, disaster, DNYBLE, mutation, quarantine, reconstruction. Bookmark the permalink.